Chapter 3 page 3 is up. Blaise tries his hand at talking to the spirit. 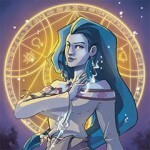 The Washington Post is holding an open call for nominations for Best Webcomic of 2011. If you like Snow by Night, please consider nominating us. There are categories so a bit of descriptive text about the comic and a link would be helpful. Thank you all for even considering us! 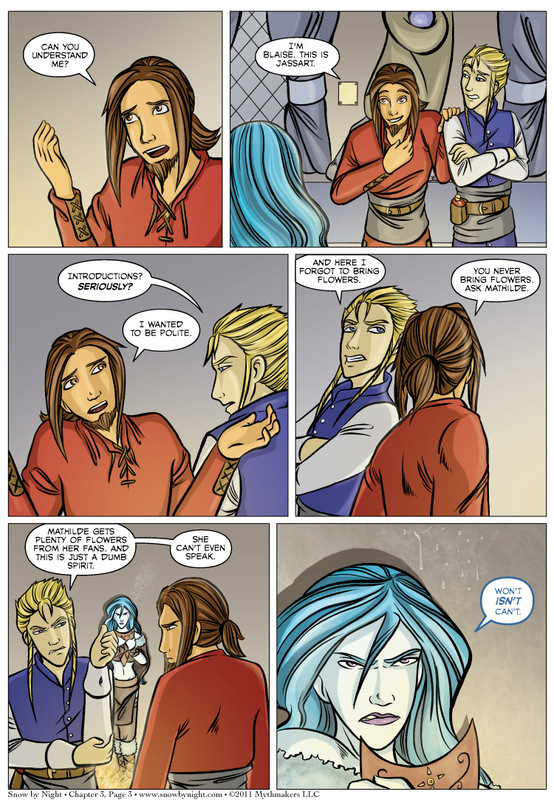 Oh, the vote incentive is a a Blaise and Jassart finding something very very amusing. To check it out, vote for Snow by Night on Top Web Comics. Am I hearing a nomination for a parody panel for the Chapter 3 book? Did they pissed her on purpose? They seems to be playing good cop-bad coop.